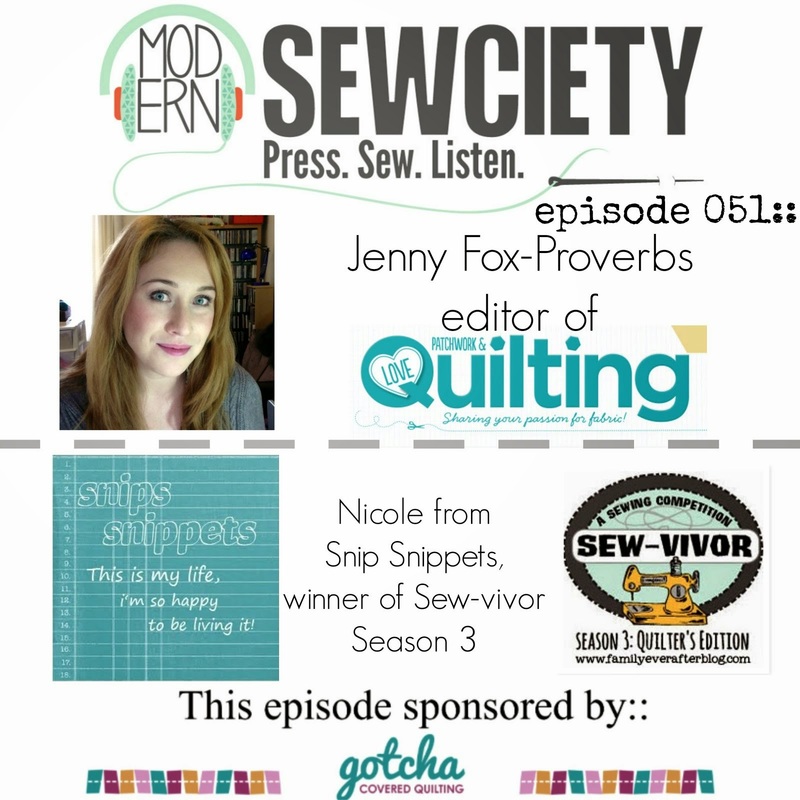 snips snippets: Wip Wednesday - a little bit of this and a little bit of that! You are making good progress. I'm jumping from one project to another as well. It usually depends on the thread I currently have in my machine, lol. Ooooohhhh! I love that pillow case and that black and white block. Way to rock it! I had trouble like that quilt a binding that didn't quite meet the back of the fabric... That's where the label went! Hahahah! That pillow case is so beautiful, and your Son's quilt is going to be awesome! the quilt does look pretty good on your bed! 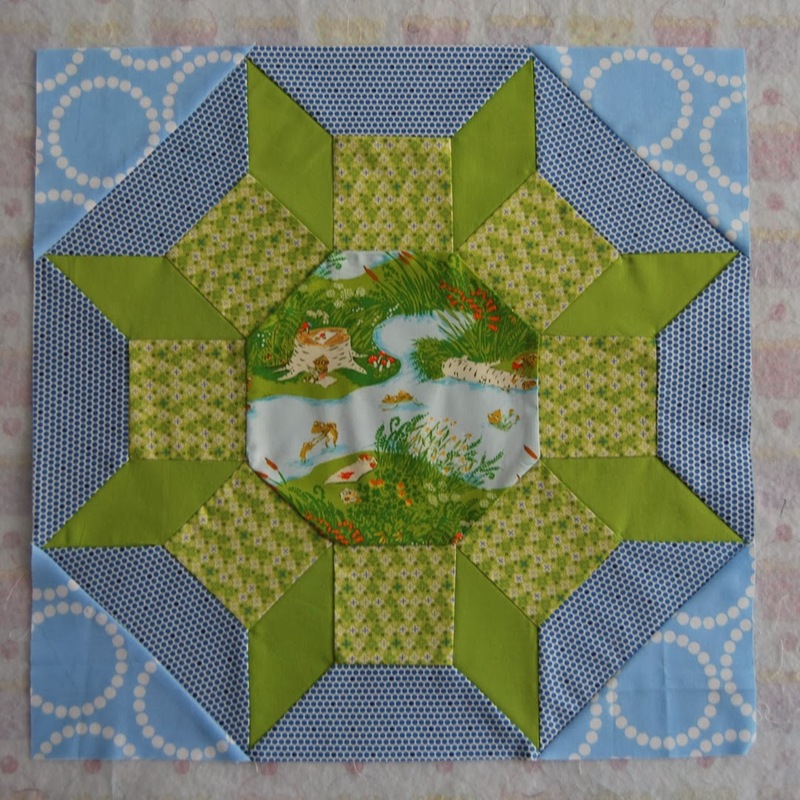 i am loving Sammy's quilt!! and can't believe how many blocks you have finished! I am betting you meet your goal on this one especially since you love making stars! Actually i dont know if you love them but i know you have a lot of experience making different ones!! Your pillow case is gorgeous!! Mmm pretty pillowcase! I need one of those for sure! I don't know how to fix your fray! If it was me I'd probably just hand stitch the heck out of it. But hopefully someone else has a better idea!! 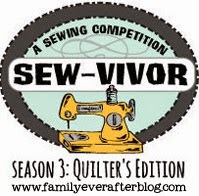 Did you see the scant seem fix at Lily's Quilts I posted a link to? It's for before you've already sandwiched it, but it might be useful in the future! Those blocks are great! For the fix, I'd use a bit of Fray Edge and hand stitch it closed. It's not such a big area. Though I totally feel the vibe of "you must keep it" going on there too. :-) Well done for getting all those blocks done! You're sure to get some stars out of the way quickly! 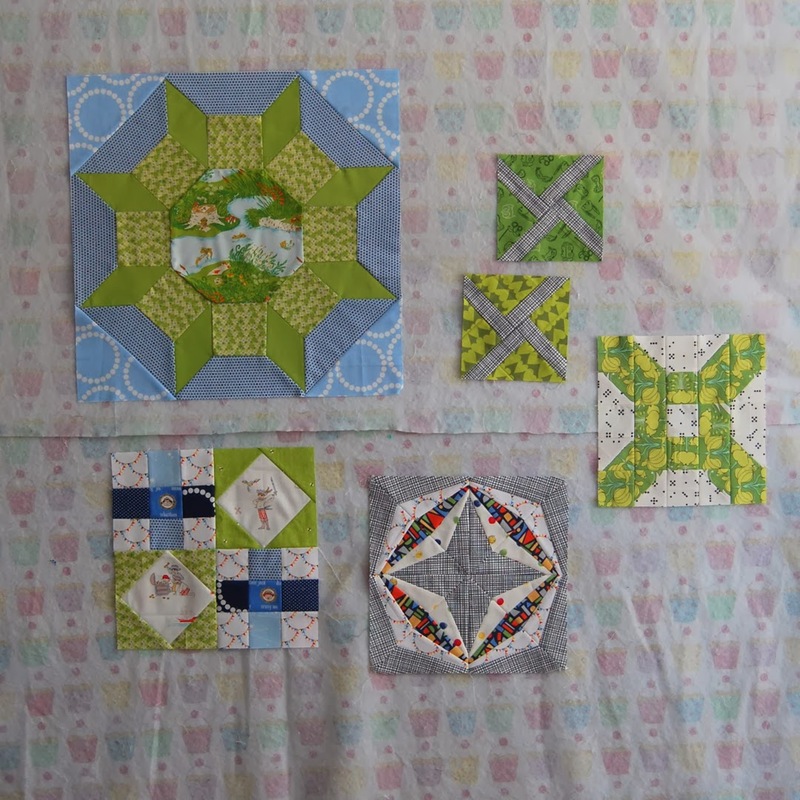 Thank you for the PC tutorial and for showing us all the beautiful blocks you've been preparing for Samy's quilt. 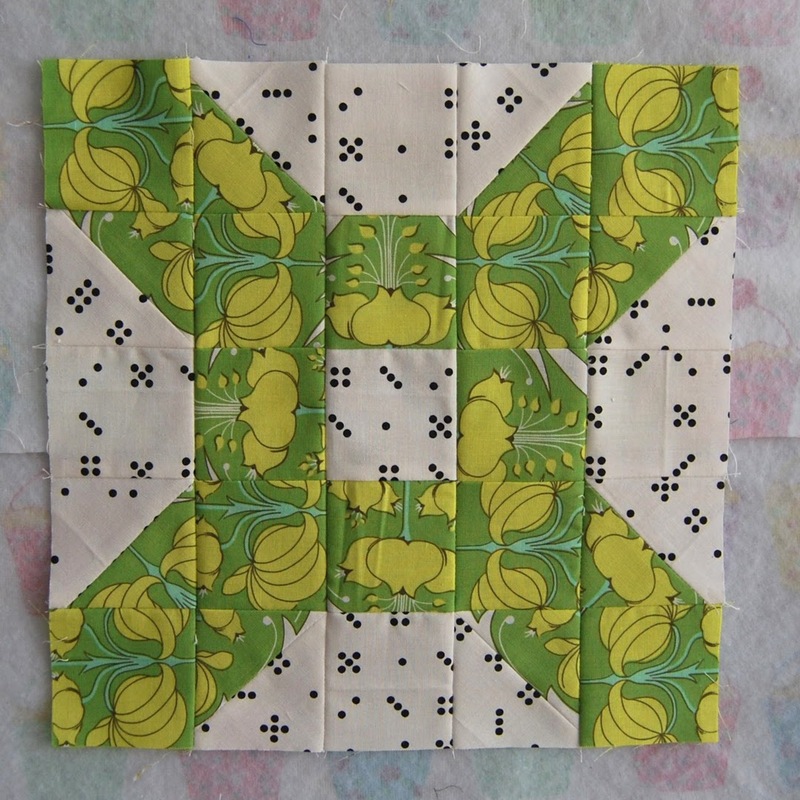 About the quilt that has been damaged, I would appliqué a small bee or something, it has happened to me also and I fixed this way, everybody loved the little bee! This is going to be such a fun quilt! I can't wait to see you finish it! Your pillowcase looks fab, too. And I would totally want to keep your sister's quilt for myself, too. Love it! I think everyone has good ideas for how to fix that little bit. I had that happen to one of my sons' quilts, too. I was also going to suggest a label there! 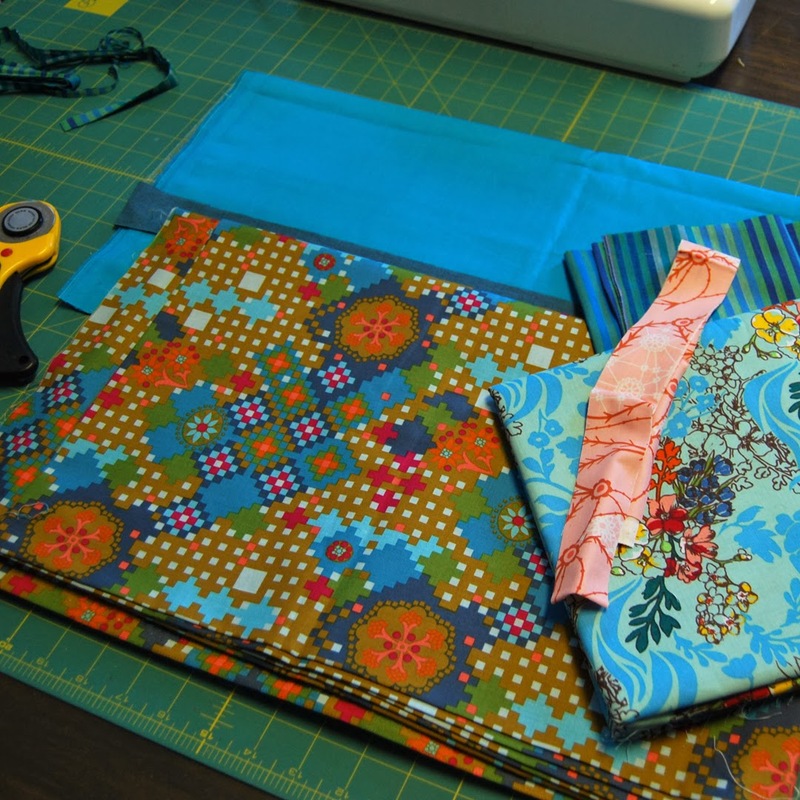 Love the pillow case, I have done similar but with a different tutorial and have loved how they turned out. Love the stripes on the pillowcase, it goes perfectly! Those domino dots sure are fun. I hate it when seams pop. I usually just zigzag over them but it doesn't look pretty. 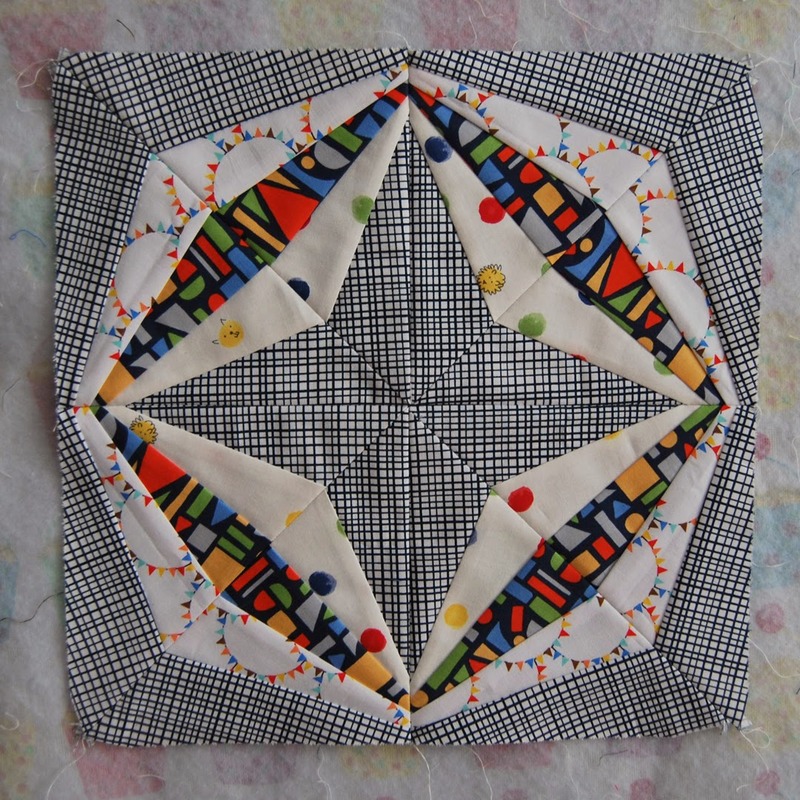 Your piecing is beautifully precise and your colours nice and bright. Hmmm, how convenient, a little quilty hole..you might have to keep it, damn! No, really, I think I'd try the hand stitching first and see how you get on :) Like always you have a super array of projects...that pillow case is gorgeous! As it happens I've just washed my daughter's pillow and oh dear I can't find a pillow case.... now I will just HAVE to make one those!! A hole!? That happens to me more than I'd like to admit, but it's a great reason to keep it, right? Yeah?? Totally! 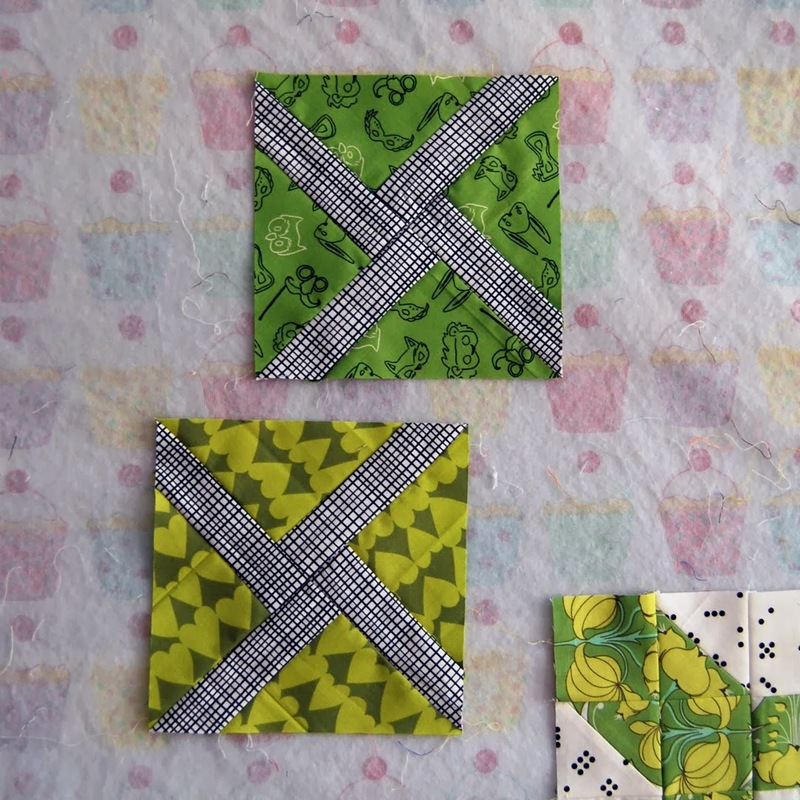 I've zigzagged one on my machine once, turned out just fine, nice and sturdy and blended well because it was a solids quilt like yours. But I've hand stitched before, too (yes, it's happened more than I like to admit) and I didn't keep that one, so I'm not sure how well it really held up. Good luck with that. Either way, it's a beautiful quilt and your sister will love it! 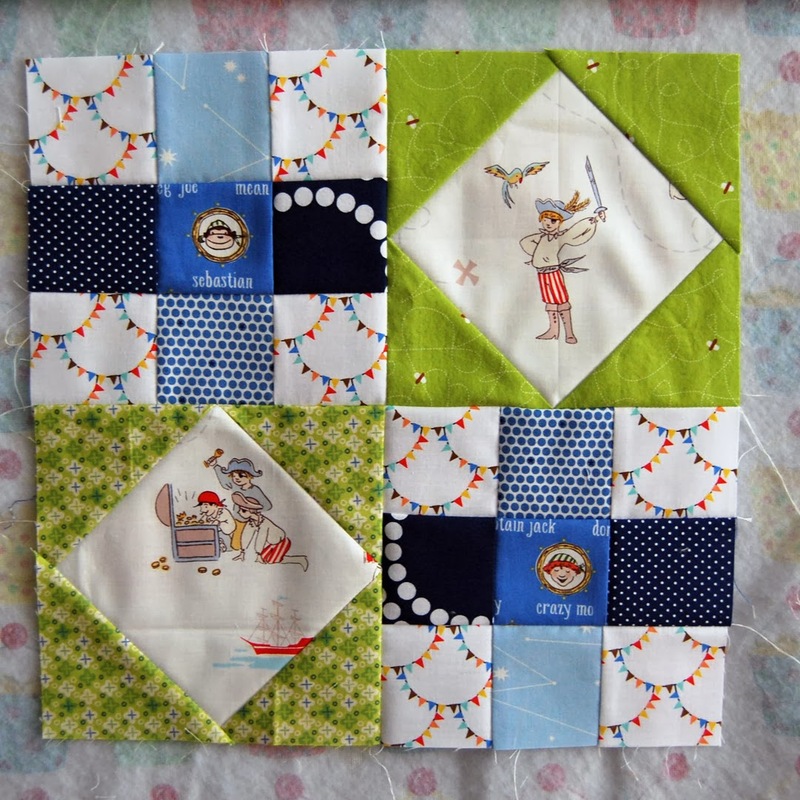 And great pillowcase and blocks for Sammy's quilt! Those are some awesome blocks! I love all your fabric choices. I would just stitch that tear closed by hand and some fray check wouldn't hurt. Perfect match with the pillowcase.